Another month, another deep web service disappears without trace along with all the funds held on user accounts. 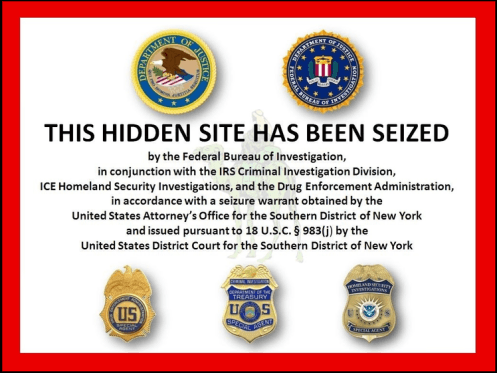 If the reason for disappearance is not a law enforcement raid like in the case of the Silk Road marketplace and its many clones, it may be a conscious decision by the owners to defraud all their members, as it appears to have happened with the Mt. Gox bitcoin exchange or more recently with the Evolution darkweb platform. The fact that few marketplaces stay active for very long and new ones appear all the time is hardly any consolation in this respect, since it is hard to collect relevant info before deciding whether to work with them. In short, uncertainty rules supreme in the shady world hidden from regular Google searches. Of course, none of this is exactly shocking. Online platforms catering to drug dealers and worse criminals of all kinds indiscriminately can hardly be trusted to behave ethically, since we all know that even the mainstream financial institutions are prone to manipulations when left free of outside control. Anonymity of the deep web makes the issue nearly impossible to solve, since identities of the perpetrators are extremely difficult to ascertain after the fact. The very same features that drive people to use illegal marketplaces make them vulnerable to financial losses in case anything goes awry with the master plan. Some would say that’s a risk every person is subscribing to when venturing outside of the legal streams. Law enforcement efforts against this kind of activity have mostly been counterproductive so far. Instead of attempting to regulate the emerging bitcoin economy in any way, governments have mostly tried to suppress anonymous trading altogether and impose heavy penalties on people who are running the free-wheeling marketplaces. Such an approach is raising the stakes for everyone involved, pushing the dark web straight into the hands of brazen gold diggers, who are willing to risk everything to get rich quick. It is impossible to plan for the long-term when the website you worked hard to build from scratch can be taken down in an instance, with all the money found on the accounts ending up in the pockets of the police. Lost in the shuffle is the fact that dark web sites are important for many legitimate reasons. It is true that drug sales account for the largest chunk of revenues of these websites and that weapons and contract killers can be procured on some of them, but they are also havens for political dissidents of various colours and whistle blowers from corporate and public sector. It could be argued that online privacy is growing more precious as surveillance technologies are getting more extensive, presenting the global society with a big dilemma that has no easy answers. It is not worth sacrificing the right to live by one’s own choices for the sake of security, but something must be done about website owners who take the money and run. It may be a long time before these questions are answered adequately. Until then, people who have the need to protect their identity while communicating online will continue to use encrypted channels, no matter how risky that may be. Awareness of the risks is essential and measures need to be taken to minimize financial liabilities whenever any money is placed under control of anonymous entities. Funds should never be left in online accounts any longer than necessary, while larger transactions should be divided into more manageable installments, even if that slows down the desired activities to a certain extent. After some of the major players in the dark web community went under the ice with no warning, it is best to assume the worst and operate in a super-diligent mode all the time. The latest wave of financial abuse could have more immediate consequences in terms of loss of consumer confidence. Anonymous orders placed through deep web intermediaries became a popular method of purchasing drugs in the past several years as the business was thriving. It is unclear at the moment whether the trend will continue despite the problems or the channel will grow cold due to lack of trust in the medium of exchange. Nobody likes to lose money and if the present difficulties persist it is highly likely that most sellers and buyers will simply move away from a broken model for “collaboration”. At any rate, every negative piece of news about the dark web is another blow to freedom of information and another step towards a world where all financial transactions are monitored.